If you've been searching for the perfect spring to summer outfit, I've got you covered! 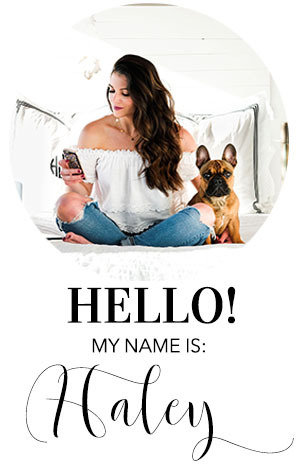 I'm so glad you're here today; I want to tell you more about all of these amazing items, give you some style tips to transition your wardrobe from spring to summer, AND share my secret online shopping weapon! First, let's talk about my newest obsession and the most comfortable sandals I've ever owned! These Dolce Vita Lyndon sandals aren't just cute, they are the perfect shade of cognac and the heel height is just right. I'll be wearing these non-stop this summer and I'd be lying if I said I didn't want them in the leopard print! I'm equally obsessed with this BB Dakota dress because there are so many ways to wear it for spring and summer! Think outside of the box and imagine wearing it open as a duster cardigan (#socute) or even tied at the waist, letting the back drape over your booty. The options are endless and it comes in gray! Now, before I tell you my big fat secret, I wanted to talk about denim on denim. If you're looking for a way to take your Canadian tux to the next level, strap some baby blues on your back in the form of a chic backpack! I can't rave about this Coach rucksack enough and it is the perfect bag for a day at the park or biking around town with your sweetie. Still wondering what my online secret weapon may be? Well, it's the crazy good selection and free overnight shipping offered by Zappos.com! Blogging all week in addition to working gets a little crazy and sometimes I need things in a hurry (ok, maybe I'm just forgetful...). Whatever the case may be, Zappos always delivers the most stylish threads unbelievably fast! If you've ordered in the past, you might already have VIP perks. If you're new to Zappos, all you have to do is call customer service after creating your account (1-800-927-7671) and request that your account be upgraded to VIP status. Order these babies and just like magic, they'll be at your door the next day- whoohoo!